Masabumi Hosono, the lone Japanese Titanic survivor, will have his memoirs displayed at Yokohama Minato Museum this month as part of “Treasures collection” to celebrate 25 years of the museum. 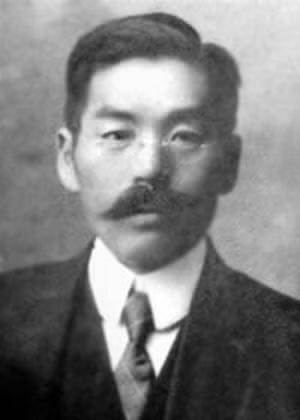 Hosono, age 42, was a civil servant of the Japanese Ministry of Transport who had been sent to Russia in 1910 to study their railway system. He then went to London for further research then boarded Titanic as a second class passenger. While aboard he started writing a letter to his wife though it was not completed until after he survived. He was awakened by a knock on the door and went outside to find out what was going on. He was initially sent to the lower decks since he was a foreigner but made his way back to the upper deck. He got into Titanic lifeboat #10 when an officer called that there was room for two more. He did not, as some claim, try to disguise himself as a woman to get aboard the lifeboat. After he was rescued and returned to Japan, initially he was well received but then came under considerable criticism for surviving when so many women and children died. Condemned a coward in the Japanese press, he lost his government job. Textbooks used him as an example of being dishonorable. However he was hired back by the Transport Ministry and stayed there until his death in 1939. Hosono never spoke of Titanic and was a source of shame for his family. The letter to his wife was published twice, the second time in the 1990’s. With that letter published and now an exhibit of his memoirs and letter,it is hoped to reverse the years of social disgrace that resulted from surviving such a tragedy.